President Donald Trump’s message to Tokyo to pick up more of the burden in the defense alliance “should be a trigger for us” to examine “our own thoughts of security,” a founder of the Japan Innovation Party told an audience at a Washington, D.C., think tank Monday. Toru Hashimoto, speaking at the Center for Strategic and International Studies, said Trump was correct in saying Japan needed to strengthen its Self-Defense Force to better defend itself. The former governor of Osaka Prefecture and mayor of Osaka city said Japan’s political leadership needs to explain especially to the younger generation what the treaty alliance means in terms of Tokyo’s commitment to respond in case the United States is attacked as well as what the American obligations are. “This is the kind of change we need to bring about in the third generation,” but it will not be an easy sell among the youngest segment of Japan’s population. In his address, Hashimoto said Japan’s political and societal landscape is divided into generations. The first is the one remembering the defeat of World War II and the restructuring of Japanese politics and society; the second is their children who lived through “the harsh reality of the Cold War” with its need for a strong reliance on the United States with little recognition of a pre-World War II Japan; the third is his generation, the grandchildren who “view World War II as what took place in history,” but have a more rational approach to today’s challenges and see value in pre-war Japan. The caveat with the third generation, he said, is among the youngest, even those in college, do not realize that the United States and Japan fought against each other in that war. The question the average Japanese citizen asks is “are they really ready to be engaged in a nuclear war to protect Japan” in a crisis with Russia, China or North Korea? A second question is: will the United States shed blood to defend Tokyo’s claims to the Senkaku Islands under the terms of the treaty. Both positions of providing the nuclear umbrella and supporting the island claims were recently reaffirmed in a U.S.-Japanese meeting in Tokyo. Likewise, Hashimoto said in his travels to the United States in his role as a television commentator and lawyer he said he finds the American public asking similar about whether Japan would live up to its end of the treaty. In addition, Americans believe, “Japan has the military to defend itself,” which he questioned in his talk. 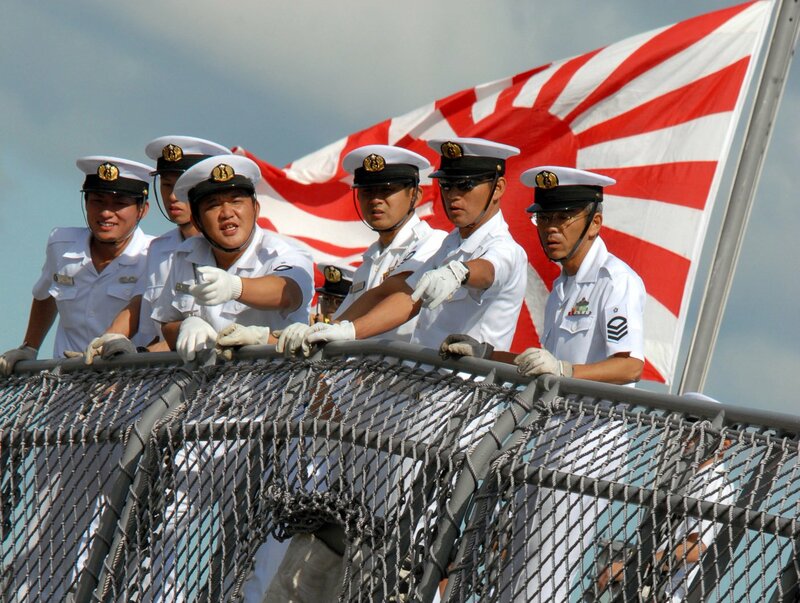 “Prime Minister [Shinzo] Abe fought hard for this new legislation” to deploy the Japanese Defense Force away from the home islands in certain circumstances, but the distance between Japan’s political establishment and the public’s acceptance of policies such as that or even whether Japan should defend the Senkakus in a confrontation with the Chinese is wide. Hashimoto said he strongly supports the treaty. He added historically Japan has responded to foreign pressure for change, particularly from the United States. He cited the arrival of Commodore Matthew Perry’s “black ships” in opening the country to the outside world, its defeat in World War fundamentally changing its political and societal structure and even the proposed Trans Pacific Partnership causing reforms in its economic policies as examples. The innovation party is regarded as populist, a term he didn’t dismiss. “I can relate to Mr. Trump.” He added the political establishment in the United States was as astonished with Trump’s victory as the United Kingdom’s was on the vote to leave the European Union.